...a public, 9-hole golf course of inspiring beauty. Enjoy the warm hospitality of our full-service bar. 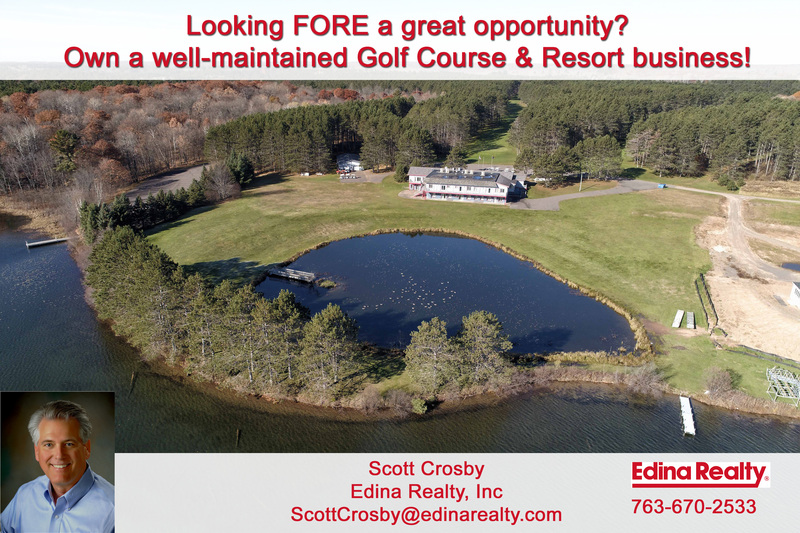 Stay n Play luxury lodging for a perfect golf vacation! Call 715-462-3200 for Tee Times & Reservations. Large groups welcome, group rates available. Get away from it all in the Golf Capital of Wisconsin! Whether you’re walking or riding down the first fairway, you’ll feel the relief of leaving it all behind – the job and the hassles – at Spider Lake Golf Resort in Hayward, Wisconsin. All levels of golfers will be challenged and thrilled by the inspiring beauty of our family friendly 9-hole golf course. 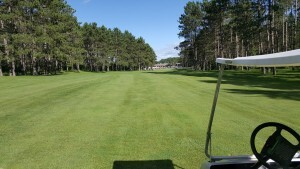 Nestled among the tall pines of Wisconsin’s Northwoods, the Spider Lake Golf Course in Hayward, Wisconsin offers a picturesque golfing experience featuring 3300 yards of golf from the longest tees for a par of 36. The 9-hole Spider Lake Golf Resort in Hayward, WI is a public golf course that opened in 1972. The course features 3 sets of tees for different skill levels. Spider Lake Golf Resort puts the beauty of the Hayward Lakes area in Northwest Wisconsin on full display. Hear the pines, enjoy trails for hiking and biking, and see wildlife from deer to birds to badgers add a thrilling aura to your golf and to your Wisconsin nature getaway. 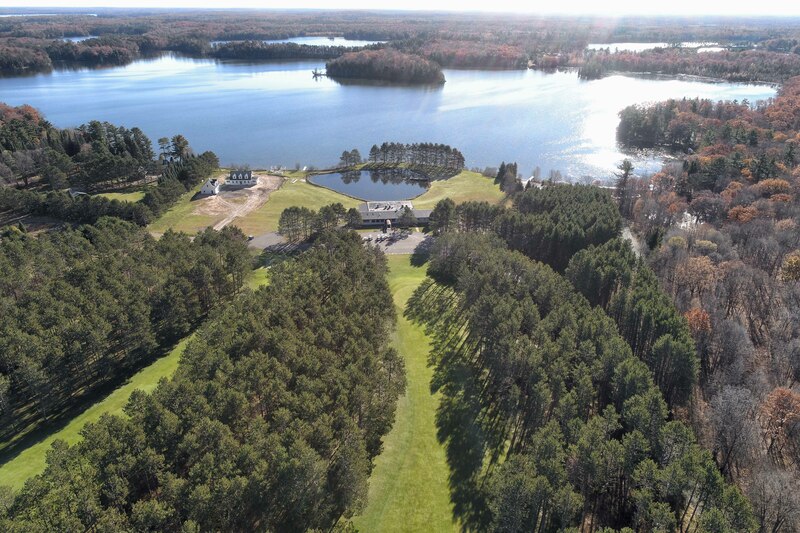 With luxury two-bedroom condominiums overlooking a pond, a screened gazebo and Clear Lake, Spider Lake Golf Resort is perfect for Northern Wisconsin golf vacations. 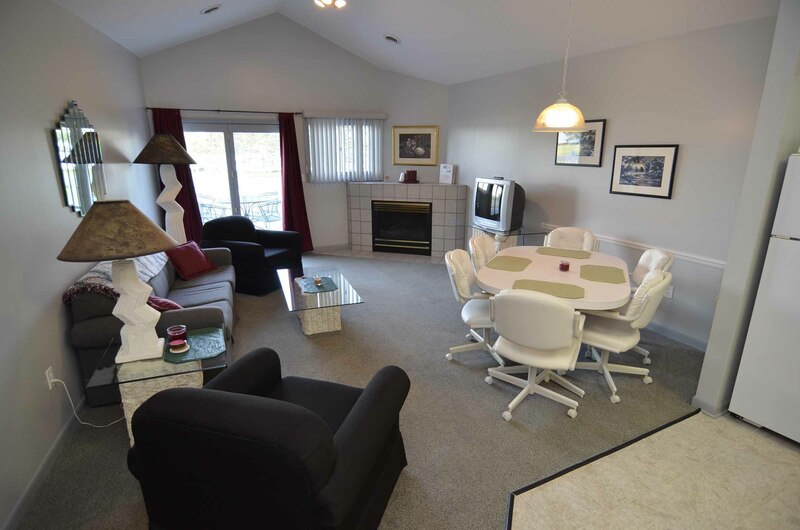 Spider Lake Golf Resort offers some of the most comfortable golf & lodging accommodations around, including two-bedroom luxury condominiums with full kitchens, satellite TV and gas fireplaces. 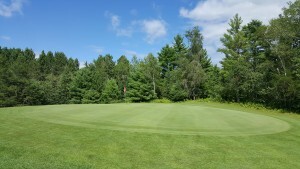 Golfers can enjoy our two courses at discount and package rates – the beautifully groomed, moderately challenging 9-hole Spider Lake course right outside the resort’s front door; or the more challenging premier 18-hole Telemark Golf Course hidden away in the Chequamegon National Forest, just a few minutes away. The entire Spider Lake Golf Resort invites days of walking, biking, hiking and more. Take a paddleboat onto the serene Clear Lake from the resort’s private pier. 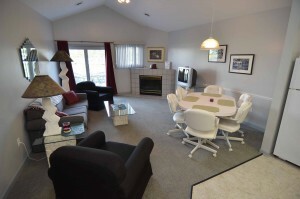 Even the lounge here is suitable for families, with its gas fireplace and warm hospitality. Enjoy the beauty of the Hayward Lakes area! Spider Lake Golf Resort, and its 18-hole sister course Telemark Golf Course, are 2 of 10 golf courses within an hour of the Hayward, Wisconsin area of Northwest Wisconsin! Only a few miles from Spider Lake Golf Resort are fine dining restaurants and bar & grills including the Tally Ho Supper Club, Timber Bay Resort, BlackIron Bar & Grill, Sawmill Saloon, Club 77 and the Chippewa Inn. Hayward, Wisconsin has a variety of unique shops, galleries, grocery stores, coffee shops, bait shops, fly fishing shop, and attractions including the National Freshwater Fishing Hall of Fame. The Sevenwinds Casino is only 10 minutes away. 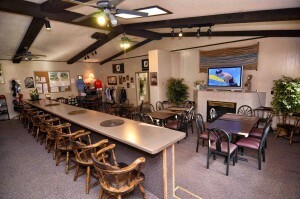 Located on the beautiful Spider Lake Chain of Lakes, Spider Lake Golf Resort has docking space available for its guests. Fishing boats, personal watercraft and pontoon rentals are available from Hayward Power Sports. There are public beaches on Lake Hayward and Smith Lake in Hayward as well as Day Lake in the Chequamegon National Forest near Clam Lake. Qualified fishing guides are ready to share the fishing hot spots with you. ATV trail systems, hiking trails and mountain bike trails invite outdoor enthusiasts to enjoy some of the best trails in the Midwest! You deserve a vacation; a real getaway…Spider Lake Golf Resort is the perfect place. Spider Lake Golf Resort gift certificates make great gifts for birthdays, graduations, Mother's Day, Father's Day, Anniversaries & the Holidays!